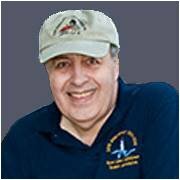 Phillip L. Block is a lifelong photographer, writer, and dedicated lighthouse enthusiast. He is now retired following a career in management, corporate training, and technical communications. A former U.S. Army officer, he is a business graduate of Michigan Tech University in the Upper Peninsula. In his travels, he has visited over 250 lighthouses in the Great Lakes and Atlantic Coastal regions of the United States and Canada. His companion site, Lightstations.com was created to showcase his photography of these lighthouses. He also offers his public slide show entitled Lights of the Lakes to share this treasure with others. Born and raised in Michigan, Phil now resides in Port Washington, Wisconsin, a former fishing village that was founded in 1835 on Lake Michigan’s western shore. There are two lighthouses in Port Washington, which is located about 30 miles north of Milwaukee. The oldest of these lights, the Port Washington 1860 Light Station, is now inactive and has been converted to a public museum where he has served as a tour guide and docent. He has been a member of the Great Lakes Lighthouse Keepers Association (GLLKA) since 1985. GLLKA is dedicated to the preservation of the history of Great Lakes lighthouses and the people who kept them. Phil’s other interests include outdoor photography and consulting on web development, social media, and digital marketing. He also counsels small business entrepreneurs while serving as a Certified Mentor for SCORE. For additional background, please visit his personal web site. Phil has been doing Lights of the Lakes for years and has refined it into a entertaining and educational presentation that many older people really enjoy. The program fits well with the interests of typical audiences such as historical societies and senior communities. As a senior himself, he also relates well to older people. Everyone seems to like lighthouses, and sometimes the audience members either know or are related to someone who once served as a lighthouse keeper. Or, they have visited some of the lighthouses during their travels. Phil is actively retired, and has a flexible schedule. He can do day, evening, or even weekend programs at your discretion.